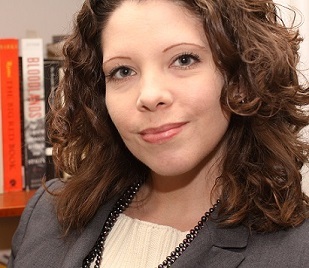 Dr. Jacobe is currently the Director of the Center for American Language & Culture at The College of New Jersey in Ewing. At TCNJ, her portfolio includes pre-college and English for academic purposes programming in addition to strategy development for international enrollment management and campus internationalization in support of international and immigrant student retention and persistence. She also oversees TCNJ’s only pathway program partnership in Shanghai, China, and has a driving role in decision-making for future partnership development. Additionally, Dr. Jacobe serves The College as Vice President of the Staff Senate and has been heavily involved in campus-wide strategic planning, international education strategic planning, and reaccreditation self-study and review. Dr. Jacobe has published extensively on the nature and structure of American colleges and universities, the academic profession, and humanities education. Her work on this has appeared in the Western Humanities Review, Academe, College English, Inside Higher Ed, How the University Works, and the University of Venus, among others. Monica is also the co-author of the fronting article to AAUP’s frequently cited 2006 Contingent Faculty Index. She has been interviewed by and quoted in publications as diverse as Nature, The Chronicle of Higher Education, Inside Higher Ed, and the Times (London) Education Supplement in respect to issues of academic labor and student learning. A frequent speaker on higher education, Monica has given over a dozen invited talks at conferences and universities across the country. Her scholarly and creative work centers on the tension between perceived and constructed identities. Her current scholarly book project examines how contemporary Southern writers have shifted the topos for regional identity to a global plane. She has published numerous scholarly and creative pieces from these and other works and is co-author of the textbook Final Draft: Level 4 published Cambridge University Press in 2015. All opinions and statements here are solely those of the author and do not represent or intend to represent current or previous academic institutions.